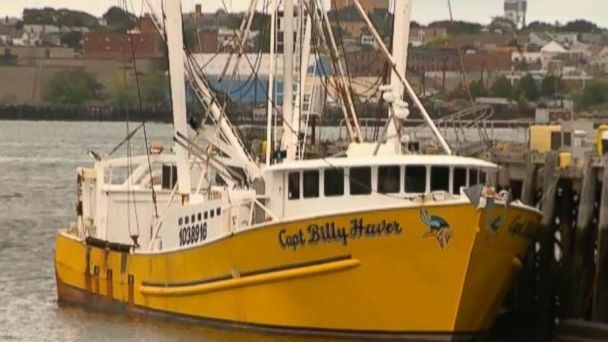 Authorities in Massachusetts have charged an undocumented immigrant with murder after he allegedly stabbed three fellow crew members, one fatally, on a fishing boat 55 miles off the coast. The U.S. Attorney's Office in Massachusetts announced the charges on Monday, one day after they say Franklin Freddy Meave Vazquez got into a fight on the ship he was working on, the Captain Billy Haver, and three people were injured. One of those members of the crew died. The 27-year-old Vazquez, a native of Mexico, was in the country illegally, according to the Department of Justice. Since the crime took place within the special maritime and territorial jurisdiction of the United States it is considered a federal case. Vazquez was charged with one count of murder and one count of attempted murder. The fishing boat, which has its home port in Virginia, was near Nantucket when one of seven crew members said he was assaulted by Vazquez with a hammer and a knife, according to the U.S. Attorney's Office. The crew member said he saw a fellow shipmate was already lying on the deck badly bleeding. Vazquez then allegedly attacked a third crew member. Vazquez climbed the ship's mast before other crew members finally captured him, the attorney's office said. The captain issued a distress call, answered by the German cruise ship, Mein Schiff 6, authorities said. The first two crew members were treated by the cruise ship's doctor, with one being pronounced dead. Lindsay McDannold, who is married to Vazquez's father but in the process of divorce, criticized the suspect in an interview with Boston ABC affiliate WCVB. Vazquez was charged with abduction by force, intimidation, or deception after being arrested in Newport News, Virginia, on March 9 for what McDannold says was an attack on her daughter. He was released on bond, according to federal authorities. "In March, he assaulted her and strangled her and held her against her will," McDannold said. "I think it's a travesty. I think the court system failed. I think they should do a better job in terms of policing these people when they come in." Vazquez faces life in prison if convicted of murder. He will then be subject to deportation after serving any potential sentence.